Tech-24 offers complete foodservice equipment repair and maintenance services for full-service restaurants, QSRs, convenience stores and retailers, coffee shops and concessions operations in Orlando, FL. 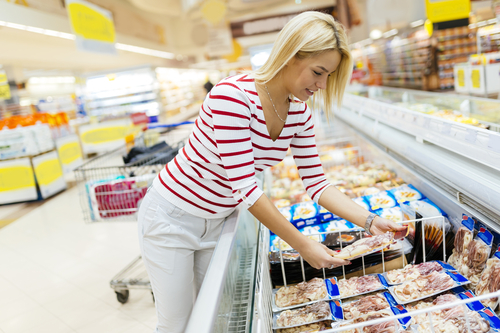 If you run a business that makes use of commercial refrigeration equipment, it’s important to stay on top of maintenance. Failing to do so could cost a lot of money. This is why it’s smart to work with a commercial kitchen equipment repair company to ensure you’re consistently addressing any and all upkeep needs. Doing so helps you avoid the following potential consequences. If you make use of this type of equipment, there’s a good chance a significant portion of your business depends on it. If your refrigerators suddenly break down without warning, you could lose a lot of money in a short period of time. Customers may not visit until the refrigerator repair team completes their work, and any items you store in a broken down unit could go bad. Staying on top of maintenance saves you a lot of money in the long run. When commercial refrigerators and freezers stop working, conditions inside of them can get moist due to melting ice. This increases the odds that mold, E. coli, salmonella, and a range of other contaminants will develop. If they come into contact with any food you serve customers, you may face a lawsuit (or at least a major reduction in customer loyalty) if anyone who dines at your business gets sick. Scheduling refrigerator repairs and maintenance before minor issues turn into major problems saves you money by reducing your bills. Constantly running your machines without maintaining them limits their efficiency. Address maintenance issues consistently, however, and they’ll use less energy, saving you a lot on bills in the long run. This equipment is an investment. A professional maintenance team will help you protect it and your business. If you need commercial refrigeration equipment upkeep, get in touch with the experts at Tech-24. Their preventative maintenance plans will keep your business running smoothly. In emergency situations, they offer same day service from experienced technicians. Contact them online for more information.